My Facebook page reminded me early this week that I hadn't posted in a while. I missed last weeks blog entry and I've been reading like a fiend, but not writing my reviews (Sunday goals). My only excuse is that spring in Arizona is not something to be wasted. The days are sunny and high 70's, low 80's and you just want to be outside doing things before someone turns the oven on and 105 is a normal day. I've been hiking and going to the gym faithfully, and I'm down 16# in two months. But my motivation has been waning and I've just wanted to sleep in, rather than getting up at 415am to get to the gym before work. I know most people prefer to go after work, but honestly, I am so deep to my core lazy, that if I don't get up and get it done, it won't happen. Then I'll come home after work, after NOT having gone to the gym and I'll sit on the couch and berate myself all night for being so lazy, so fat, for not being able to keep a resolution. Ugh. The voice in my head is my own worst enemy. If someone could bottle motivation and sell it in pill form, they would be kazillionaires. I've had some really good reading but haven't been requesting a bunch because I'm still so far behind on my TBR list. But I've continued my winning streak and gotten a few adds from some old faves. long on the idyllic island of Belle Isle, North Carolina. Some people come only for the weekends-and it's something they look forward to all week long. When Riley Griggs is waiting for her husband to arrive at the ferry one Friday afternoon, she is instead served with papers informing her that her island home is being foreclosed. To make matters worse, her husband is nowhere to be found. She turns to her island friends for help and support, but each of them has their own secrets and the clock is ticking as the mystery deepens. Cocktail parties and crab boil aside, Riley must find a way to investigate the secrets of Belle Island, the husband she might not really know, and the summer that could change everything. 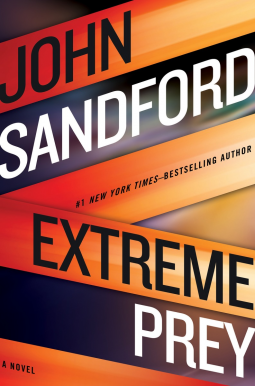 thriller from #1 New York Times–bestselling author and Pulitzer Prize winner John Sandford.